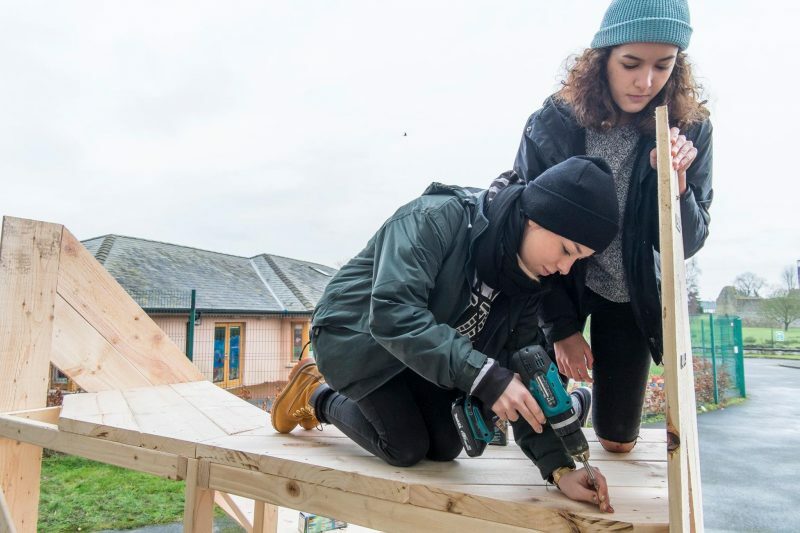 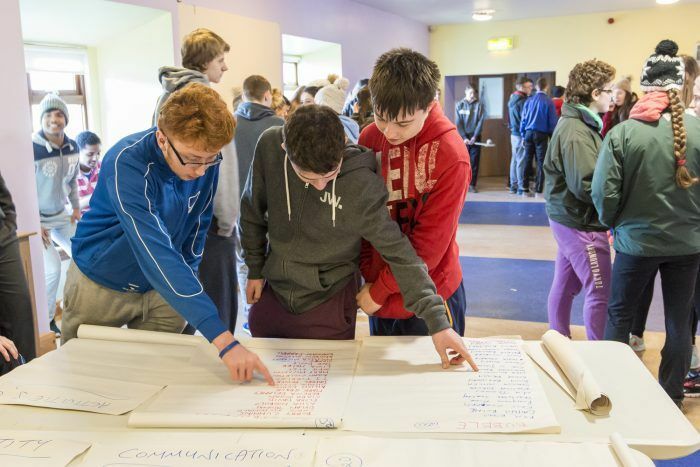 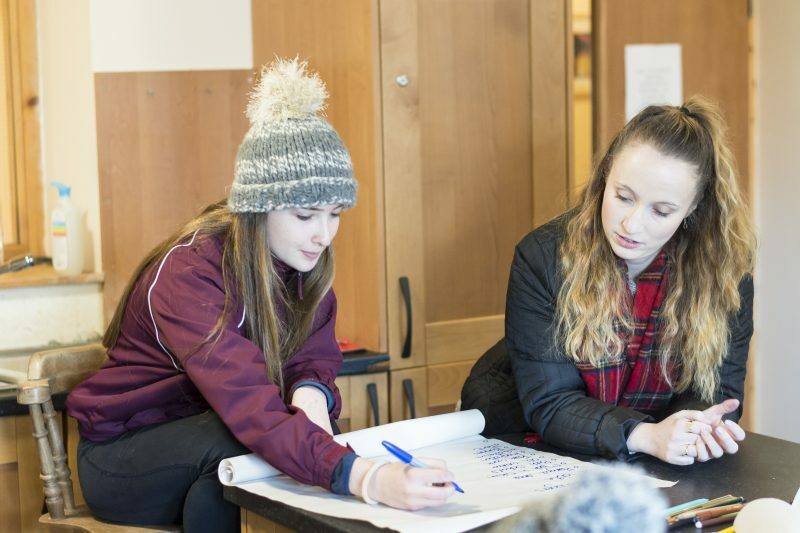 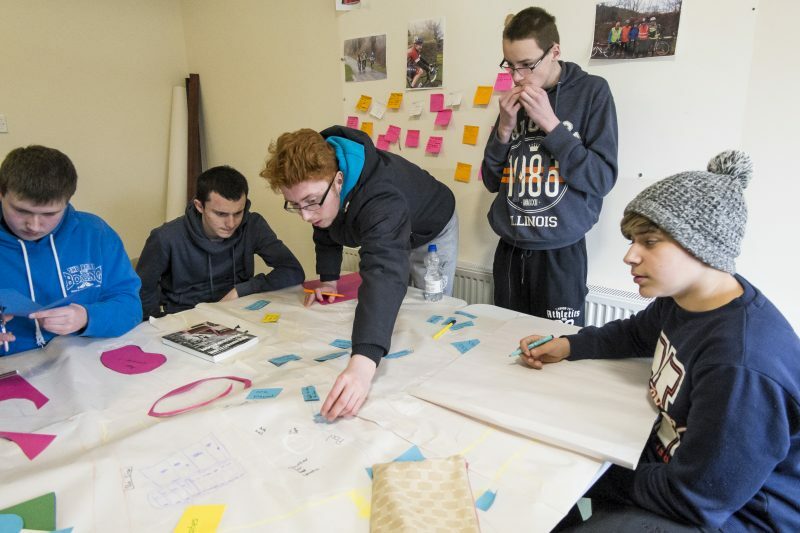 The workshop aimed to develop an understanding of public space in the town from a young person’s needs and perspective, highlighting the limited services/resources for young people beyond traditional sporting grounds and school services. 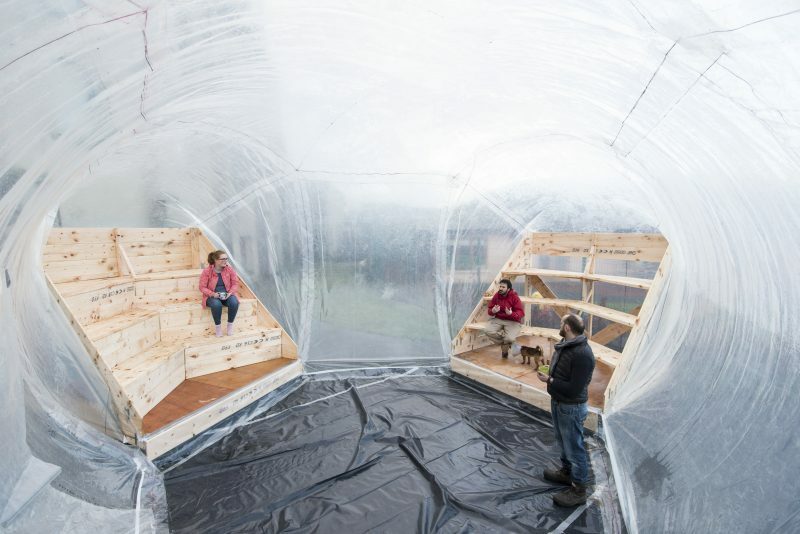 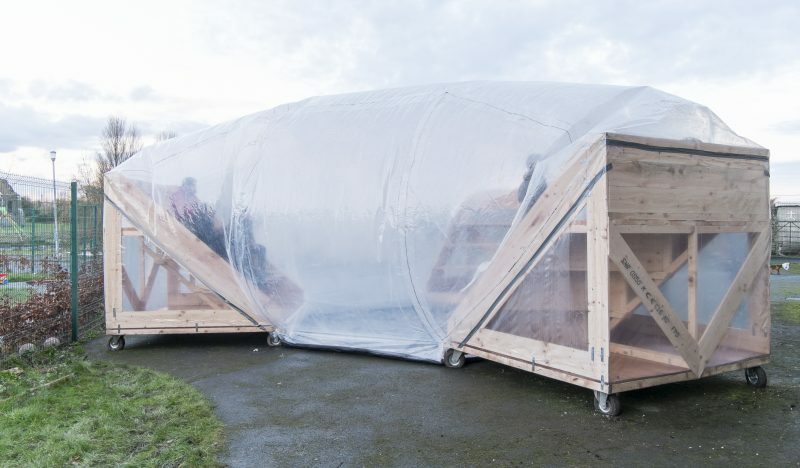 Through hands on design workshops a temporary space was built consisting of mobile grandstands providing seating within an inflatable bubble structure. 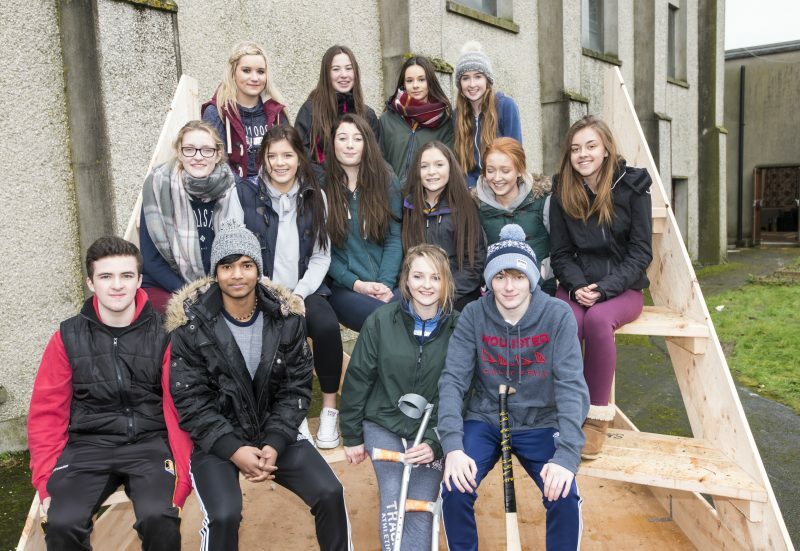 The workshop was funded through the Collaborative Arts Partnership Progamme / CREATE workshops strand, Kilkenny Leader Partnership and Three Sisters 2020 Capital of Culture Bid. 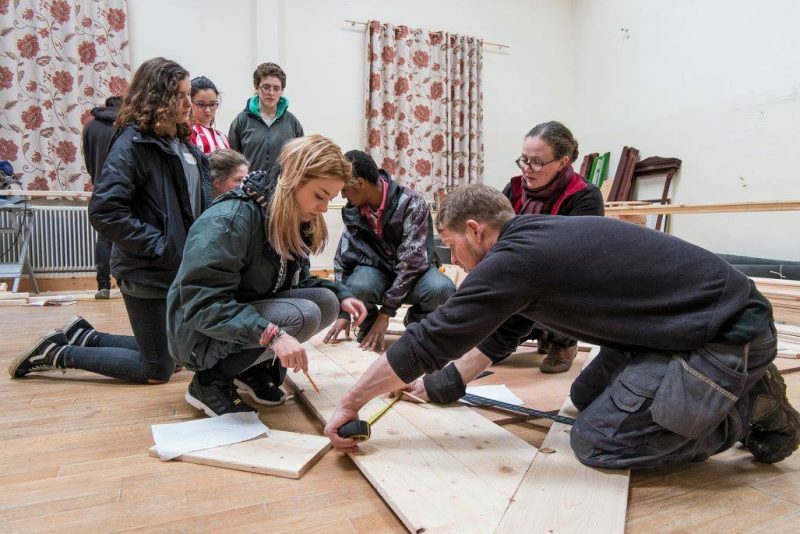 As part of the first year of CAPP, the partners initiated several national and international artist-led professional development workshops for artists who work collaboratively, across the partner countries.